Skunk? She desperately parks, opens multiple doors, and runs away? Welcome to Crawlspace. Tim Pilleri and Lance Reenstierna speak with Dina Street about her daughter, Danielle Sleeper's disappearance.Join the Bring Danielle Home Facebook group: https://www.facebook.com/groups/1418530515119789/http://charleyproject.org/case/danielle-marie-sleeperIf you have any information please contact the Montgomery County Sheriff's Office at 936-760-5876Come see our next live show in Nashua, New Hampshire! We're doing a panel conversation about Brianna Maitland. Joining us is Brianna's father Bruce Maitland, private investigators Greg Overacker and Lou Barry, as well as Chloe Canter from True Crime Twins. It's at the Riverwalk Cafe at 35 Railroad Square in Nashua, NH on May 22nd 2019. Here's the link to buy tickets: https://www.brownpapertickets.com/event/4218326Follow Chloe and Melina Canter and the True Crime Twins podcast at twitter.com/TrueCrimeTwins and Instagram.com/truecrimetwins. Listen at https://t.co/tXhOCeDdgX, https://t.co/qbUaCwQWbx?amp=1Check out Private Investigations for the Missing and please consider donating: https://investigationsforthemissing.org/Come to Crime Con in New Orleans, Louisiana June 7-9th 2019 and use code CRAWLSPACE19 when registering at CrimeCon.com for 10% off.Come to the True Crime Podcast Festival in Chicago in July of 2019: https://tcpf2019.com/Check out the new Crawlspace Discussion Facebook group: https://www.facebook.com/groups/talkcrawlspace/Check out Chloe's blog on true crime and Brianna Maitland's disappearance: http://chloefromcrawlspace.blogspot.com/Listen to the Out of the Shadows podcast: https://itunes.apple.com/us/podcast/out-of-the-shadows/id1118716786Check out Madison Reed at Madison-Reed.com. Crawlspace listeners get 10% off plus free shipping on their first Color Kit with code CRAWLSPACECheck out therealreal.com and use promo code REAL for 20% off select items. So find some great deals on luxury items from top designers. And new customers receive an automatic $25 off at checkout.Check out other great shows from Crawlspace Media:MMM: https://itunes.apple.com/us/podcast/missing-maura-murray/id1006974447Empty Frames: https://www.stitcher.com/podcast/empty-frames. Subscribe on Stitcher Premium to hear Season 2 (stitcher.com/premium)The music for Crawlspace was produced by David Flajnik. Listen to his music here: https://www.pond5.com/artist/bigdsoundFollow us on social media:twitter.com/crawlspacepodinstagram.com/crawlspacepodcastfacebook.com/crawlspacepodcastCheck out Private Investigations for the Missing: https://t.co/P3LMyWLPF1Donate to the GoFundMe: https://www.gofundme.com/investigations-for-the-missingFollow us on Twitter: twitter.com/PIFortheMissingFollow us on Facebook: facebook.com/PIFortheMissingWatch Finding Maura Murray on Amazon Prime: https://www.amazon.com/gp/video/detail/B07JKBKQRZ/Please consider becoming a Crawlspace patron at Patreon.com/crawlspacepodcast!Check out other great podcasts from Crawlspace Media: Missing Maura Murray, Empty Frames.To listen to Season 2 of Empty Frames, please go to StitcherPremium.com and use code 'Frames' to get your first month free! Season 1 is free to listen to on the Stitcher app. Welcome to Crawlspace. Tim Pilleri and Lance Reenstierna chat with filmmaker Jennifer Amell about her search to identify the jane doe known as Suitcase Jane Doe.Check out Jennifer's site: SuitcaseJaneDoe.comFollow Chloe and Melina Canter and the True Crime Twins podcast at twitter.com/TrueCrimeTwins and Instagram.com/truecrimetwins. 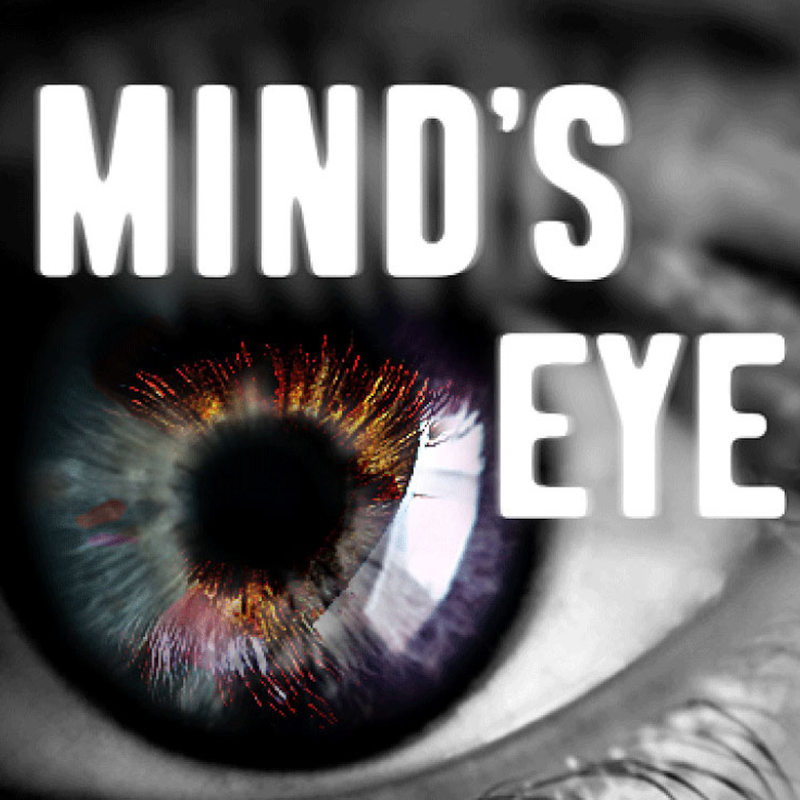 Listen at https://t.co/tXhOCeDdgXCheck out Private Investigations for the Missing and please consider donating: https://investigationsforthemissing.org/Come to Crime Con in New Orleans, Louisiana June 7-9th 2019 and use code CRAWLSPACE19 when registering at CrimeCon.com for 10% off.We're going to the American Investigative Society of Cold Cases conference April 15th & 16th in Albany, New York! We're speaking on a panel with Mike Morford (Criminology) and John Lordan (Brainscratch). Get your tickets now! http://www.aisocc.com/2019-conference/Come to the True Crime Podcast Festival in Chicago in July of 2019: https://tcpf2019.com/Check out the new Crawlspace Discussion Facebook group: https://www.facebook.com/groups/talkcrawlspace/Check out Chloe's blog on true crime and Brianna Maitland's disappearance: http://chloefromcrawlspace.blogspot.com/Listen to the Out of the Shadows podcast: https://itunes.apple.com/us/podcast/out-of-the-shadows/id1118716786Check out Madison Reed at Madison-Reed.com. Crawlspace listeners get 10% off plus free shipping on their first Color Kit with code CRAWLSPACECheck out other great shows from Crawlspace Media:MMM: https://itunes.apple.com/us/podcast/missing-maura-murray/id1006974447Empty Frames: https://www.stitcher.com/podcast/empty-frames. Subscribe on Stitcher Premium to hear Season 2 (stitcher.com/premium)The music for Crawlspace was produced by David Flajnik. Listen to his music here: https://www.pond5.com/artist/bigdsoundFollow us on social media:twitter.com/crawlspacepodinstagram.com/crawlspacepodcastfacebook.com/crawlspacepodcastCheck out Private Investigations for the Missing: https://t.co/P3LMyWLPF1Donate to the GoFundMe: https://www.gofundme.com/investigations-for-the-missingFollow us on Twitter: twitter.com/PIFortheMissingFollow us on Facebook: facebook.com/PIFortheMissingWatch Finding Maura Murray on Amazon Prime: https://www.amazon.com/gp/video/detail/B07JKBKQRZ/Please consider becoming a Crawlspace patron at Patreon.com/crawlspacepodcast!Check out other great podcasts from Crawlspace Media: Missing Maura Murray, Empty Frames.To listen to Season 2 of Empty Frames, please go to StitcherPremium.com and use code 'Frames' to get your first month free! Season 1 is free to listen to on the Stitcher app. Welcome to Crawlspace. 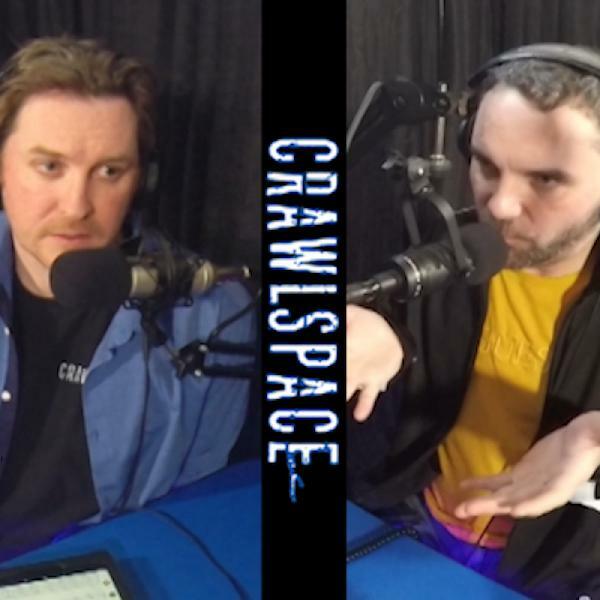 In this Vault video, which is normally exclusive to Patreon.com/Crawlspacepodcast, Tim and Lance describe their week in podcasting. 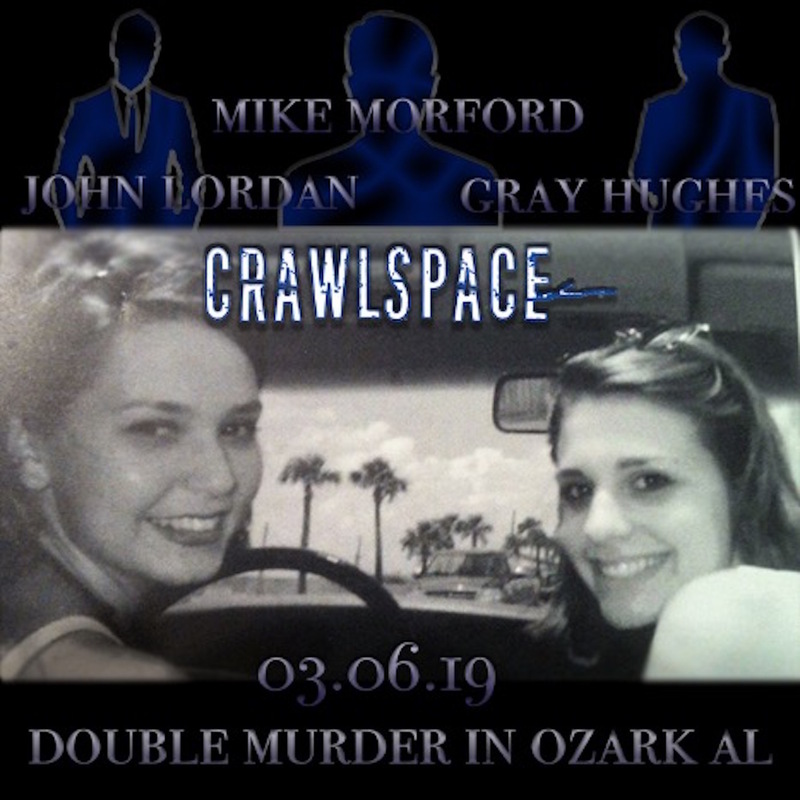 They discuss the Crawlspace episode with Brandon Lawson's brother, Kyle. They also read comments from the episode and discuss about the press conference held in New Hampshire on Wednesday to discuss latest developments in the criminal investigation into Maura Murray's disappearance.Please consider becoming one of our patrons with a 5, 10, or 20 dollar pledge! If you like what we do you can basically buy us lunch once a month. Check out patreon.com/crawlspacepodcast and get this type of video episode once a week! Welcome to Crawlspace. Tim Pilleri, Lance Reenstierna, and the True Crime Twins (Chloe and Melina Canter) speak with Brandon Lawson's brother - Kyle Lawson - about Brandon's disappearance.Missingbrandonlawson.comFollow Chloe and Melina Canter and the True Crime Twins podcast at twitter.com/TrueCrimeTwins and Instagram.com/truecrimetwins. Listen at https://t.co/tXhOCeDdgXCheck out Private Investigations for the Missing and please consider donating: https://investigationsforthemissing.org/Come to Crime Con in New Orleans, Louisiana June 7-9th 2019 and use code CRAWLSPACE19 when registering at CrimeCon.com for 10% off.We're going to the American Investigative Society of Cold Cases conference April 15th & 16th in Albany, New York! We're speaking on a panel with Mike Morford (Criminology) and John Lordan (Brainscratch). Get your tickets now! http://www.aisocc.com/2019-conference/Come to the True Crime Podcast Festival in Chicago in July of 2019: https://tcpf2019.com/Check out the new Crawlspace Discussion Facebook group: https://www.facebook.com/groups/talkcrawlspace/Check out Chloe's blog on true crime and Brianna Maitland's disappearance: http://chloefromcrawlspace.blogspot.com/Check out therealreal.com and use promo code REAL for 20% off select items. So find some great deals on luxury items from top designers. And new customers receive an automatic $25 off at checkout.Check out Madison Reed at Madison-Reed.com. Crawlspace listeners get 10% off plus free shipping on their first Color Kit with code CRAWLSPACECheck out Caavo.com, shop now and get 40% off Control Center with promo code CRAWLSPACECheck out other great shows from Crawlspace Media:MMM: https://itunes.apple.com/us/podcast/missing-maura-murray/id1006974447Empty Frames: https://www.stitcher.com/podcast/empty-frames. Subscribe on Stitcher Premium to hear Season 2 (stitcher.com/premium)The music for Crawlspace was produced by David Flajnik. Listen to his music here: https://www.pond5.com/artist/bigdsoundFollow us on social media:twitter.com/crawlspacepodinstagram.com/crawlspacepodcastfacebook.com/crawlspacepodcastCheck out Private Investigations for the Missing: https://t.co/P3LMyWLPF1Donate to the GoFundMe: https://www.gofundme.com/investigations-for-the-missingFollow us on Twitter: twitter.com/PIFortheMissingFollow us on Facebook: facebook.com/PIFortheMissingWatch Finding Maura Murray on Amazon Prime: https://www.amazon.com/gp/video/detail/B07JKBKQRZ/Please consider becoming a Crawlspace patron at Patreon.com/crawlspacepodcast!Check out other great podcasts from Crawlspace Media: Missing Maura Murray, Empty Frames.To listen to Season 2 of Empty Frames, please go to StitcherPremium.com and use code 'Frames' to get your first month free! Season 1 is free to listen to on the Stitcher app. Welcome to Crawlspace. Tim Pilleri and Lance Reenstierna talk with Jordan Bonaparte of the Night Time Podcast. Jordan recently did a series where he spoke to incarcerated prisoner Lindsay Souvannarath - an American who flew to Halifax, Nova Scotia to meet her boyfriend so they could shoot up the Halifax Shopping Center.Check out Jordan's series on Lindsay Souvannarath at https://www.nighttimepodcast.com/. Apple Podcasts: https://itunes.apple.com/us/podcast/nighttime/id1054220508Follow Jordan on social media: https://twitter.com/NightTimePod, https://www.instagram.com/Nighttimepod/, https://www.facebook.com/Nighttimepod/Check out Private Investigations for the Missing and please consider donating: https://investigationsforthemissing.org/Come to Crime Con in New Orleans, Louisiana June 7-9th 2019 and use code CRAWLSPACE19 when registering at CrimeCon.com for 10% off.We're going to the American Investigative Society of Cold Cases conference April 15th & 16th in Albany, New York! We're speaking on a panel with Mike Morford (Criminology) and John Lordan (Brainscratch). Get your tickets now! http://www.aisocc.com/2019-conference/Come to the True Crime Podcast Festival in Chicago in July of 2019: https://tcpf2019.com/Check out the new Crawlspace Discussion Facebook group: https://www.facebook.com/groups/talkcrawlspace/Check out Chloe's blog on true crime and Brianna Maitland's disappearance: http://chloefromcrawlspace.blogspot.com/Check out therealreal.com and use promo code REAL for 20% off select items. So find some great deals on luxury items from top designers. And new customers receive an automatic $25 off at checkout.Check out Madison Reed at Madison-Reed.com. Crawlspace listeners get 10% off plus free shipping on their first Color Kit with code CRAWLSPACECheck out Caavo.com, shop now and get 40% off Control Center with promo code CRAWLSPACECheck out other great shows from Crawlspace Media:MMM: https://itunes.apple.com/us/podcast/missing-maura-murray/id1006974447Empty Frames: https://www.stitcher.com/podcast/empty-frames. Subscribe on Stitcher Premium to hear Season 2 (stitcher.com/premium)The music for Crawlspace was produced by David Flajnik. Listen to his music here: https://www.pond5.com/artist/bigdsoundFollow us on social media:twitter.com/crawlspacepodinstagram.com/crawlspacepodcastfacebook.com/crawlspacepodcastCheck out Private Investigations for the Missing: https://t.co/P3LMyWLPF1Donate to the GoFundMe: https://www.gofundme.com/investigations-for-the-missingFollow us on Twitter: twitter.com/PIFortheMissingFollow us on Facebook: facebook.com/PIFortheMissingWatch Finding Maura Murray on Amazon Prime: https://www.amazon.com/gp/video/detail/B07JKBKQRZ/Please consider becoming a Crawlspace patron at Patreon.com/crawlspacepodcast!Check out other great podcasts from Crawlspace Media: Missing Maura Murray, Empty Frames.To listen to Season 2 of Empty Frames, please go to StitcherPremium.com and use code 'Frames' to get your first month free! Season 1 is free to listen to on the Stitcher app. Welcome to Crawlspace. 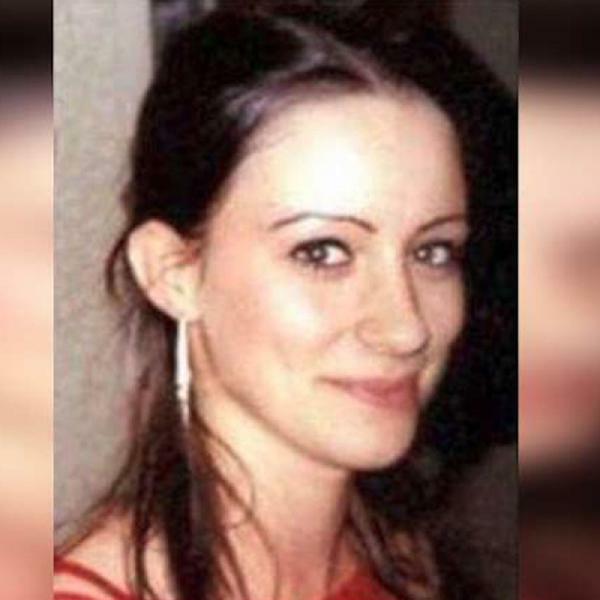 This is part two of Tim Pilleri and Lance Reenstierna's talk with private investigators Lou Barry and Greg Overacker about Brianna Maitland's mysterious disappearance. 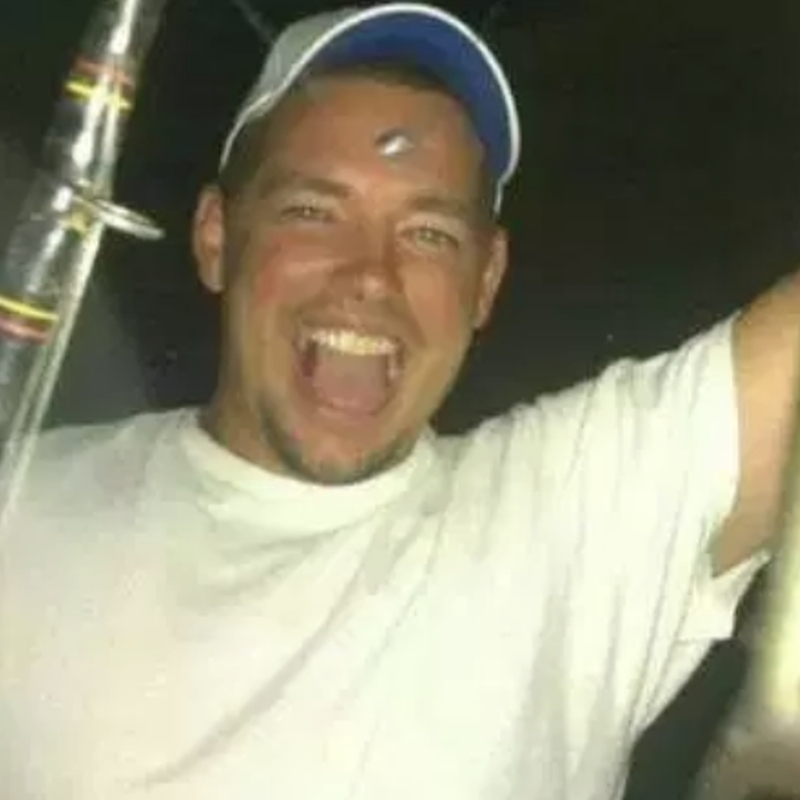 As we pass the 15 year mark, we discuss updates and new leads.Check out Private Investigations for the Missing and please consider donating: https://investigationsforthemissing.org/If you've got a tip you'd like to send to private investigator Greg Overacker: 315-542-7800, hopsicker@gmail.comCome to Crime Con in New Orleans, Louisiana June 7-9th 2019 and use code CRAWLSPACE19 when registering at CrimeCon.com for 10% off.We're going to the American Investigative Society of Cold Cases conference April 15th & 16th in Albany, New York! We're speaking on a panel with Mike Morford (Criminology) and John Lordan (Brainscratch). Get your tickets now! http://www.aisocc.com/2019-conference/Come to the True Crime Podcast Festival in Chicago in July of 2019: https://tcpf2019.com/Check out the new Crawlspace Discussion Facebook group: https://www.facebook.com/groups/talkcrawlspace/Check out Chloe's blog on true crime and Brianna Maitland's disappearance: http://chloefromcrawlspace.blogspot.com/Check out other great shows from Crawlspace Media:MMM: https://itunes.apple.com/us/podcast/missing-maura-murray/id1006974447Empty Frames: https://www.stitcher.com/podcast/empty-frames. Subscribe on Stitcher Premium to hear Season 2 (stitcher.com/premium)The music for Crawlspace was produced by David Flajnik. Listen to his music here: https://www.pond5.com/artist/bigdsoundFollow us on social media:twitter.com/crawlspacepodinstagram.com/crawlspacepodcastfacebook.com/crawlspacepodcastCheck out Private Investigations for the Missing: https://t.co/P3LMyWLPF1Donate to the GoFundMe: https://www.gofundme.com/investigations-for-the-missingFollow us on Twitter: twitter.com/PIFortheMissingFollow us on Facebook: facebook.com/PIFortheMissingWatch Finding Maura Murray on Amazon Prime: https://www.amazon.com/gp/video/detail/B07JKBKQRZ/Please consider becoming a Crawlspace patron at Patreon.com/crawlspacepodcast!Check out other great podcasts from Crawlspace Media: Missing Maura Murray, Empty Frames.To listen to Season 2 of Empty Frames, please go to StitcherPremium.com and use code 'Frames' to get your first month free! Season 1 is free to listen to on the Stitcher app. Welcome to Crawlspace. Tim Pilleri and Lance Reenstierna talk with private investigators Lou Barry and Greg Overacker about Brianna Maitland's mysterious disappearance. As we pass the 15 year mark, we discuss updates and new leads.Check out Private Investigations for the Missing and please consider donating: https://investigationsforthemissing.org/If you've got a tip you'd like to send to private investigator Greg Overacker: 315-542-7800Come to Crime Con in New Orleans, Louisiana June 7-9th 2019 and use code CRAWLSPACE19 when registering at CrimeCon.com for 10% off.We're going to the American Investigative Society of Cold Cases conference April 15th & 16th in Albany, New York! We're speaking on a panel with Mike Morford (Criminology) and John Lordan (Brainscratch). Get your tickets now! http://www.aisocc.com/2019-conference/Come to the True Crime Podcast Festival in Chicago in July of 2019: https://tcpf2019.com/Check out the new Crawlspace Discussion Facebook group: https://www.facebook.com/groups/talkcrawlspace/Check out Chloe's blog on true crime and Brianna Maitland's disappearance: http://chloefromcrawlspace.blogspot.com/Check out therealreal.com and use promo code REAL for 20% off select items. So find some great deals on luxury items from top designers. And new customers receive an automatic $25 off at checkout.Check out Madison Reed at Madison-Reed.com. Crawlspace listeners get 10% off plus free shipping on their first Color Kit with code CRAWLSPACECheck out Caavo.com, shop now and get 40% off Control Center with promo code CRAWLSPACECheck out other great shows from Crawlspace Media:MMM: https://itunes.apple.com/us/podcast/missing-maura-murray/id1006974447Empty Frames: https://www.stitcher.com/podcast/empty-frames. Subscribe on Stitcher Premium to hear Season 2 (stitcher.com/premium)The music for Crawlspace was produced by David Flajnik. Listen to his music here: https://www.pond5.com/artist/bigdsoundFollow us on social media:twitter.com/crawlspacepodinstagram.com/crawlspacepodcastfacebook.com/crawlspacepodcastCheck out Private Investigations for the Missing: https://t.co/P3LMyWLPF1Donate to the GoFundMe: https://www.gofundme.com/investigations-for-the-missingFollow us on Twitter: twitter.com/PIFortheMissingFollow us on Facebook: facebook.com/PIFortheMissingWatch Finding Maura Murray on Amazon Prime: https://www.amazon.com/gp/video/detail/B07JKBKQRZ/Please consider becoming a Crawlspace patron at Patreon.com/crawlspacepodcast!Check out other great podcasts from Crawlspace Media: Missing Maura Murray, Empty Frames.To listen to Season 2 of Empty Frames, please go to StitcherPremium.com and use code 'Frames' to get your first month free! Season 1 is free to listen to on the Stitcher app. Welcome to Crawlspace. 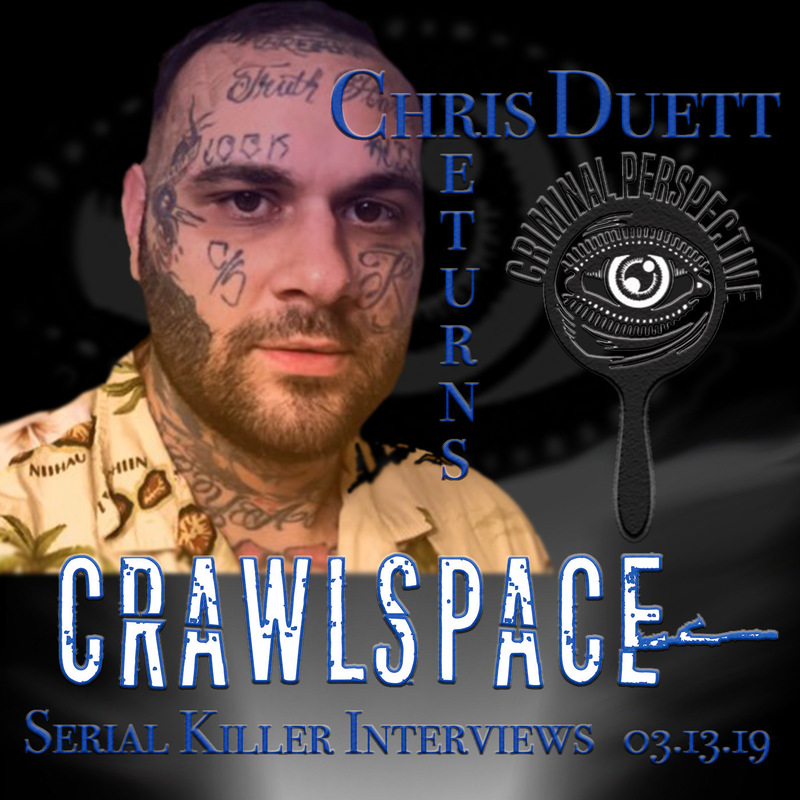 Tim Pilleri and Lance Reenstierna talk with Chris Duett about his dark hobby and his new podcast. Chris has experience writing with incarcerated serial killers, and on his new podcast, Criminal Perspective, he and friend Andrew Dodge (TrueCrimeAuctionHouse.com) have a phone call with serial killer Phil Jablonski. We play some clips and discuss.Follow Criminal Perspective on Twitter: https://twitter.com/crmnlprspctvCheck out their Patreon: https://www.patreon.com/criminalperspective/Follow Chris on Twitter: https://twitter.com/BethuneTheoryFree episodes of Criminal Perspective: https://www.truecrimeauctionhouse.com/Come to the Forensic Science Panel tonight from 6-8pm at 35 Railroad Square in Nashua, NH! 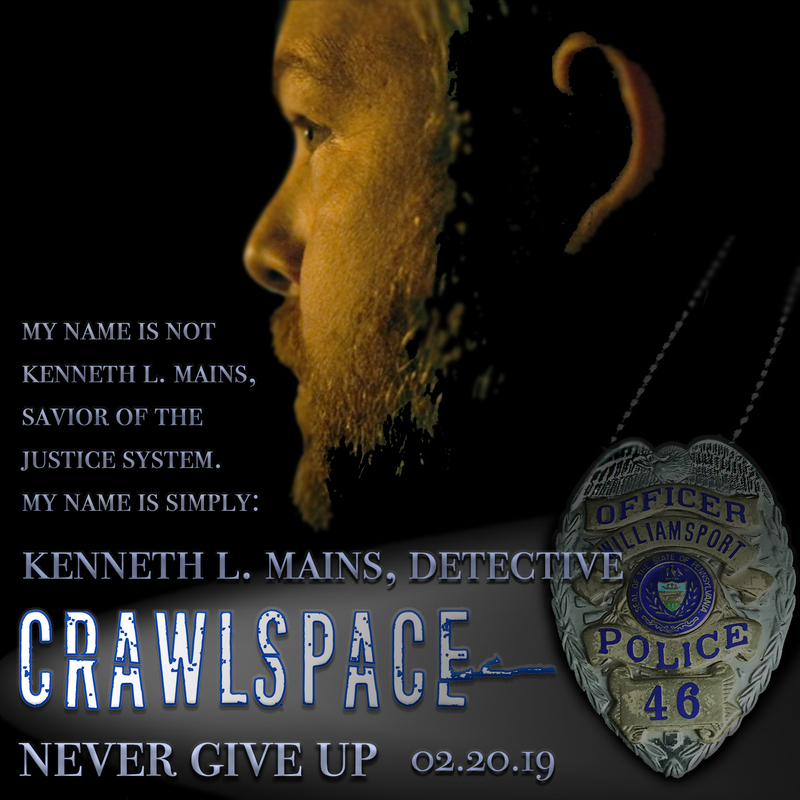 Here's the link to an article about it: http://www.nashuatelegraph.com/opinion/local-commentary/2019/03/10/forensic-science-and-crime/Come to Crime Con in New Orleans, Louisiana June 7-9th 2019 and use code CRAWLSPACE19 when registering at CrimeCon.com.We're going to the American Investigative Society of Cold Cases conference April 15th & 16th in Albany, New York! We're speaking on a panel with Mike Morford (Criminology) and John Lordan (Brainscratch). Get your tickets now! http://www.aisocc.com/2019-conference/Come to the True Crime Podcast Festival in Chicago in July of 2019: https://tcpf2019.com/Check out the new Crawlspace Discussion Facebook group: https://www.facebook.com/groups/talkcrawlspace/Check out Chloe's blog on true crime and Brianna Maitland's disappearance: http://chloefromcrawlspace.blogspot.com/Check out other great shows from Crawlspace Media.MMM: https://itunes.apple.com/us/podcast/missing-maura-murray/id1006974447Empty Frames: https://www.stitcher.com/podcast/empty-frames. Subscribe on Stitcher Premium to hear Season 2 (stitcher.com/premium)The music for Crawlspace was produced by David Flajnik. Listen to his music here: https://www.pond5.com/artist/bigdsoundFollow us on social media:twitter.com/crawlspacepodinstagram.com/crawlspacepodcastfacebook.com/crawlspacepodcastCheck out Private Investigations for the Missing: https://t.co/P3LMyWLPF1Donate to the GoFundMe: https://www.gofundme.com/investigations-for-the-missingFollow us on Twitter: twitter.com/PIFortheMissingFollow us on Facebook: facebook.com/PIFortheMissingWatch Finding Maura Murray on Amazon Prime: https://www.amazon.com/gp/video/detail/B07JKBKQRZ/Please consider becoming a Crawlspace patron at Patreon.com/crawlspacepodcast!Check out other great podcasts from Crawlspace Media: Missing Maura Murray, Empty Frames.To listen to Season 2 of Empty Frames, please go to StitcherPremium.com and use code 'Frames' to get your first month free! Season 1 is free to listen to on the Stitcher app. Welcome to Crawlspace. Tim Pilleri and Lance Reenstierna chat with Mike Morford (Criminology), John Lordan (Brainscratch), and Gray Hughes (Gray Hughes Investigates) about their new podcast 3 Men and a Mystery. The mystery they are covering in the first season is the double murder of J.B. Hilton Green Beasley and Tracie Jean Hawlett. Check out their site: http://www.3menandamystery.com/Subscribe on iTunes https://itunes.apple.com/us/podcast/3-men-and-a-mystery/id1451873206Follow on Twitter at https://twitter.com/3MenAndaMysteryLike on Facebook at https://www.facebook.com/3-Men-and-a-Mystery-true-crime-podcast-530583070785894/Come to Crime Con in New Orleans, Louisiana June 7-9th 2019 and use code CRAWLSPACE19 when registering at CrimeCon.com.We're going to the American Investigative Society of Cold Cases conference April 15th & 16th in Albany, New York! We're speaking on a panel with Mike Morford (Criminology) and John Lordan (Brainscratch). Get your tickets now! http://www.aisocc.com/2019-conference/Come to the True Crime Podcast Festival in Chicago in July of 2019: https://tcpf2019.com/Check out the new Crawlspace Discussion Facebook group: https://www.facebook.com/groups/talkcrawlspace/Check out Chloe's blog on true crime and Brianna Maitland's disappearance: http://chloefromcrawlspace.blogspot.com/Check out other great shows from Crawlspace Media.MMM: https://itunes.apple.com/us/podcast/missing-maura-murray/id1006974447Empty Frames: https://www.stitcher.com/podcast/empty-frames. Subscribe on Stitcher Premium to hear Season 2 (stitcher.com/premium)The music for Crawlspace was produced by David Flajnik. Listen to his music here: https://www.pond5.com/artist/bigdsoundFollow us on social media:twitter.com/crawlspacepodinstagram.com/crawlspacepodcastfacebook.com/crawlspacepodcastCheck out Private Investigations for the Missing: https://t.co/P3LMyWLPF1Donate to the GoFundMe: https://www.gofundme.com/investigations-for-the-missingFollow us on Twitter: twitter.com/PIFortheMissingFollow us on Facebook: facebook.com/PIFortheMissingWatch Finding Maura Murray on Amazon Prime: https://www.amazon.com/gp/video/detail/B07JKBKQRZ/Please consider becoming a Crawlspace patron at Patreon.com/crawlspacepodcast!Check out other great podcasts from Crawlspace Media: Missing Maura Murray, Empty Frames.To listen to Season 2 of Empty Frames, please go to StitcherPremium.com and use code 'Frames' to get your first month free! Season 1 is free to listen to on the Stitcher app. Welcome to Crawlspace. Tim Pilleri and Lance Reenstierna chat with true crime writer James McMahon in a wide ranging conversation from serial killer nature vs. nurture, does evil exist, and the disappearance of Andrew Gosden.Follow James on Twitter: https://twitter.com/jamesjammcmahonSign up for his mailing list: tinyletter.com/spoookCheck out his article on Andrew Gosden's disappearance: https://t.co/Sh68YCyNyqCome to Crime Con in New Orleans, Louisiana June 7-9th 2019 and use code CRAWLSPACE19 when registering at CrimeCon.com.We're going to the American Investigative Society of Cold Cases conference April 15th & 16th in Albany, New York! We're speaking on a panel with Mike Morford (Criminology) and John Lordan (Brainscratch). Get your tickets now! 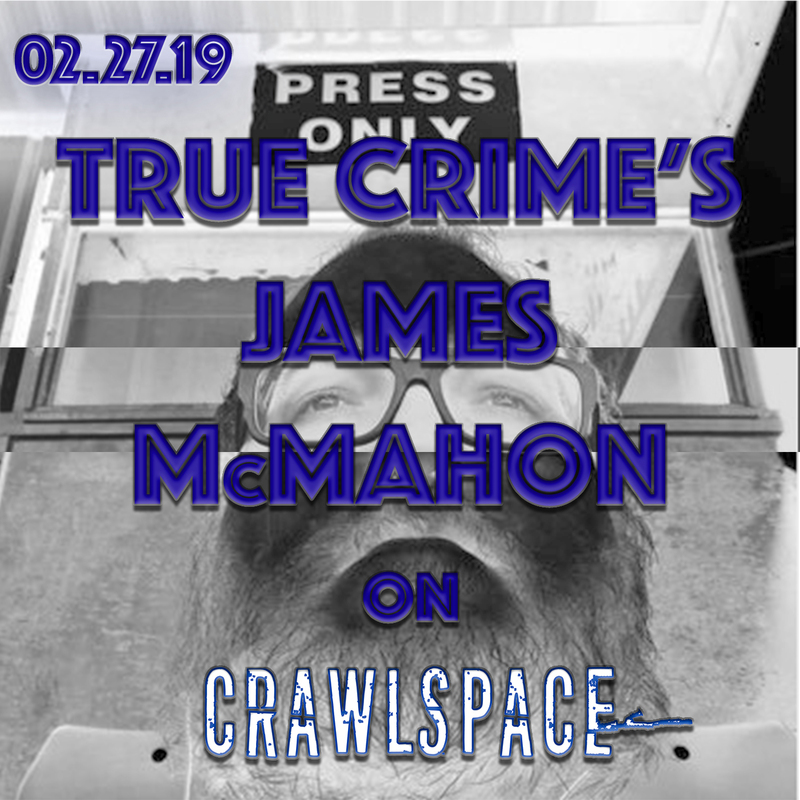 http://www.aisocc.com/2019-conference/Come to the True Crime Podcast Festival in Chicago in July of 2019: https://tcpf2019.com/Check out the new Crawlspace Discussion Facebook group: https://www.facebook.com/groups/talkcrawlspace/Check out Chloe's blog on true crime and Brianna Maitland's disappearance: http://chloefromcrawlspace.blogspot.com/Check out other great shows from Crawlspace Media.MMM: https://itunes.apple.com/us/podcast/missing-maura-murray/id1006974447Empty Frames: https://www.stitcher.com/podcast/empty-frames. Subscribe on Stitcher Premium to hear Season 2 (stitcher.com/premium)The music for Crawlspace was produced by David Flajnik. Listen to his music here: https://www.pond5.com/artist/bigdsoundFollow us on social media:twitter.com/crawlspacepodinstagram.com/crawlspacepodcastfacebook.com/crawlspacepodcastCheck out Private Investigations for the Missing: https://t.co/P3LMyWLPF1Donate to the GoFundMe: https://www.gofundme.com/investigations-for-the-missingFollow us on Twitter: twitter.com/PIFortheMissingFollow us on Facebook: facebook.com/PIFortheMissingWatch Finding Maura Murray on Amazon Prime: https://www.amazon.com/gp/video/detail/B07JKBKQRZ/Please consider becoming a Crawlspace patron at Patreon.com/crawlspacepodcast!Check out other great podcasts from Crawlspace Media: Missing Maura Murray, Empty Frames.To listen to Season 2 of Empty Frames, please go to StitcherPremium.com and use code 'Frames' to get your first month free! Season 1 is free to listen to on the Stitcher app. Welcome to Crawlspace. Tim Pilleri and Lance Reenstierna chat with Detective Kenneth Mains about cold cases, his work with law enforcement, and the American Investigative Society of Cold Cases. Welcome to Crawlspace. 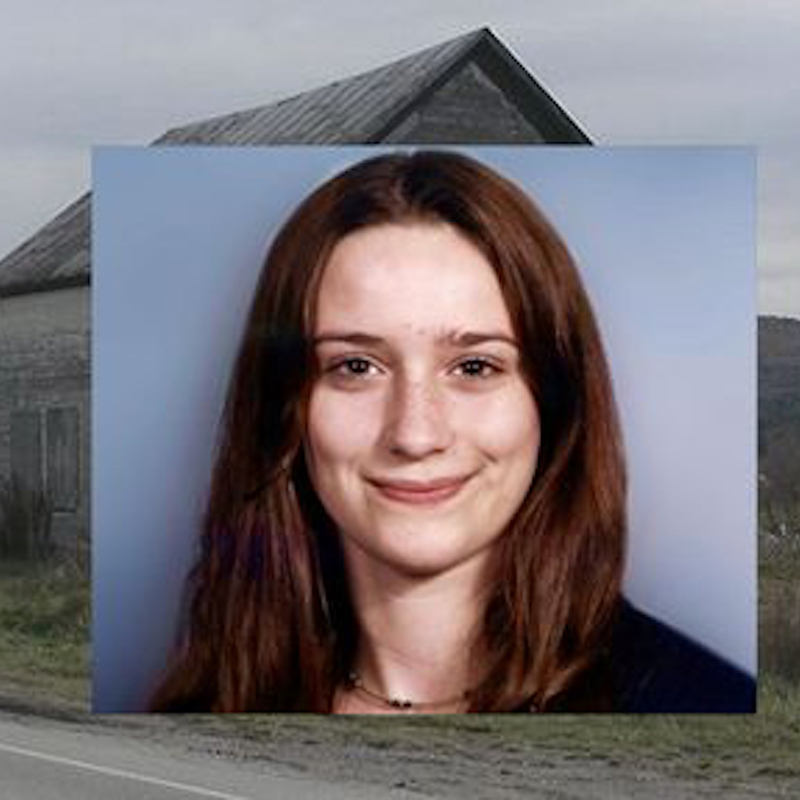 Tim Pilleri and Lance Reenstierna resume their chat with Pennsylvania filmmaker Jennifer Amell about her search to identify Suitcase Jane Doe. 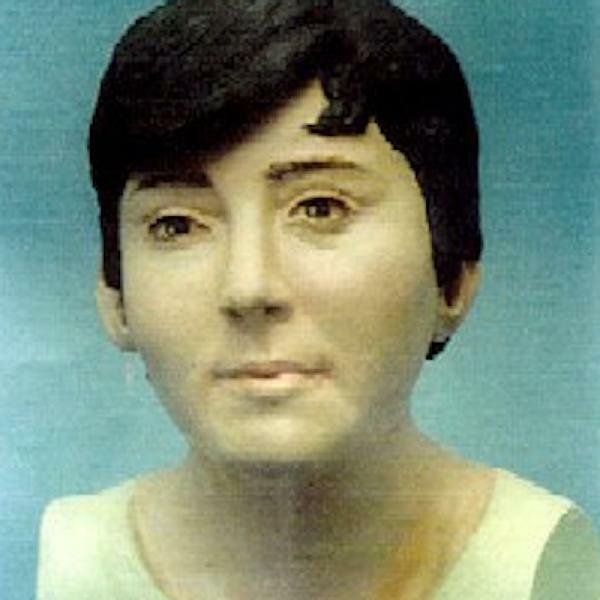 A shocking discovery is made while researching other Jane Does in the area.Check out Jennifer's site: SuitcaseJaneDoe.comWe're going to the American Investigative Society of Cold Cases conference April 15th & 16th in Albany, New York! We're speaking on a panel with Mike Morford (Criminology) and John Lordan (Brainscratch). Get your tickets now! 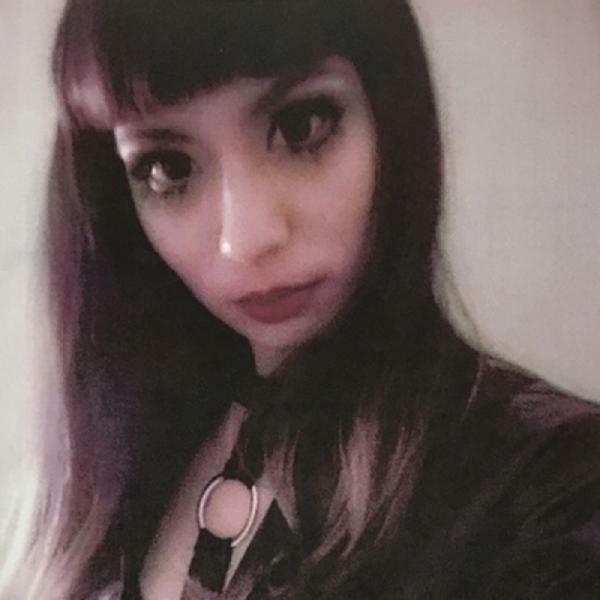 http://www.aisocc.com/2019-conference/Come to the True Crime Podcast Festival in Chicago in July of 2019: https://tcpf2019.com/Check out Chloe's blog on true crime and Brianna Maitland's disappearance: http://chloefromcrawlspace.blogspot.com/Crawlspace listeners get 10% off plus free shipping on their first Color Kit by going to Madison-Reed.com and using code Crawlspace.Check out TheRealReal.com and shop in-store, online, or download the app, and get 20% off select items with the promo code REALCheck out other great shows from Crawlspace Media.MMM: https://itunes.apple.com/us/podcast/missing-maura-murray/id1006974447Empty Frames: https://www.stitcher.com/podcast/empty-frames. Subscribe on Stitcher Premium to hear Season 2 (stitcher.com/premium)The music for Crawlspace was produced by David Flajnik. Listen to his music here: https://www.pond5.com/artist/bigdsoundFollow us on social media:twitter.com/crawlspacepodinstagram.com/crawlspacepodcastfacebook.com/crawlspacepodcastCheck out Private Investigations for the Missing: https://t.co/P3LMyWLPF1Donate to the GoFundMe: https://www.gofundme.com/investigations-for-the-missingFollow us on Twitter: twitter.com/PIFortheMissingFollow us on Facebook: facebook.com/PIFortheMissingWatch Finding Maura Murray on Amazon Prime: https://www.amazon.com/gp/video/detail/B07JKBKQRZ/Please consider becoming a Crawlspace patron at Patreon.com/crawlspacepodcast!Check out other great podcasts from Crawlspace Media: Missing Maura Murray, Empty Frames.To listen to Season 2 of Empty Frames, please go to StitcherPremium.com and use code 'Frames' to get your first month free! Season 1 is free to listen to on the Stitcher app. Welcome to Crawlspace. 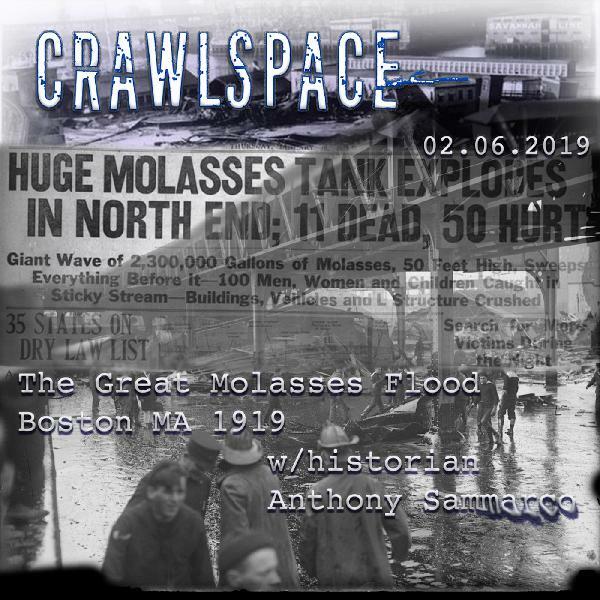 In this episode Tim Pilleri and Lance Reenstierna talk to author Anthony Sammarco (Lost Boston) about the Great Molasses Flood of Boston in 1919.Check out Lost Boston and other books from Anthony on Amazon: https://www.amazon.com/s/ref=dp_byline_sr_book_1?ie=UTF8&text=Anthony+Sammarco&search-alias=books&field-author=Anthony+Sammarco&sort=relevancerankWe're going to the American Investigative Society of Cold Cases conference April 15th & 16th in Albany, New York! We're speaking on a panel with Mike Morford (Criminology) and John Lordan (Brainscratch). Get your tickets now! 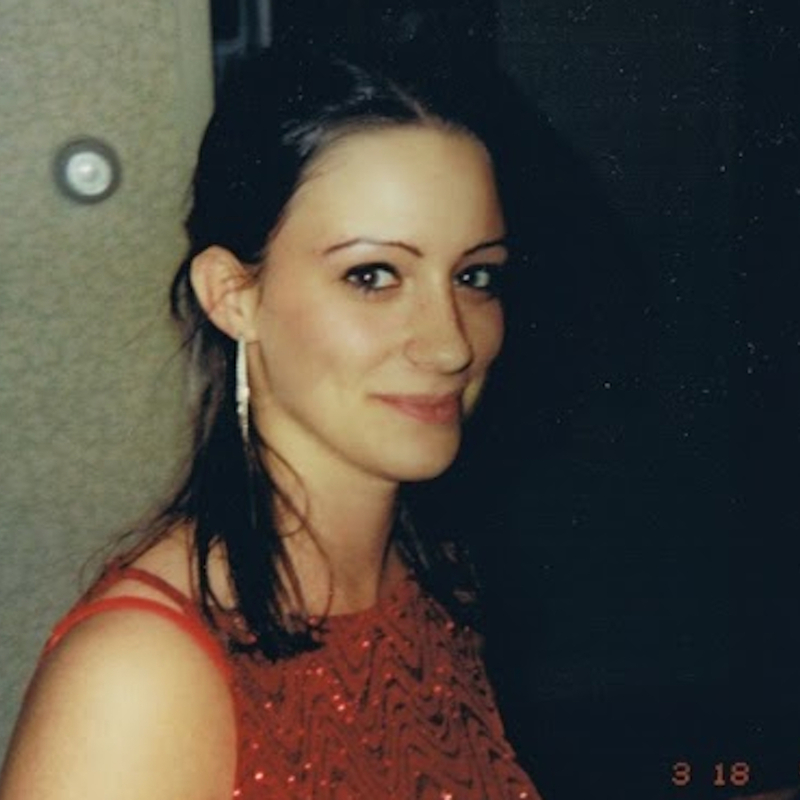 http://www.aisocc.com/2019-conference/Come to the True Crime Podcast Festival in Chicago in July of 2019: https://tcpf2019.com/Check out Chloe's blog on true crime and Brianna Maitland's disappearance: http://chloefromcrawlspace.blogspot.com/Crawlspace listeners get 10% off plus free shipping on their first Color Kit by going to Madison-Reed.com and using code Crawlspace.Check out TheRealReal.com and shop in-store, online, or download the app, and get 20% off select items with the promo code REALCheck out other great shows from Crawlspace Media.MMM: https://itunes.apple.com/us/podcast/missing-maura-murray/id1006974447Empty Frames: https://www.stitcher.com/podcast/empty-frames. Subscribe on Stitcher Premium to hear Season 2 (stitcher.com/premium)The music for Crawlspace was produced by David Flajnik. Listen to his music here: https://www.pond5.com/artist/bigdsoundFollow us on social media:twitter.com/crawlspacepodinstagram.com/crawlspacepodcastfacebook.com/crawlspacepodcastCheck out Private Investigations for the Missing: https://t.co/P3LMyWLPF1Donate to the GoFundMe: https://www.gofundme.com/investigations-for-the-missingFollow us on Twitter: twitter.com/PIFortheMissingFollow us on Facebook: facebook.com/PIFortheMissingWatch Finding Maura Murray on Amazon Prime: https://www.amazon.com/gp/video/detail/B07JKBKQRZ/Please consider becoming a Crawlspace patron at Patreon.com/crawlspacepodcast!Check out other great podcasts from Crawlspace Media: Missing Maura Murray, Empty Frames.To listen to Season 2 of Empty Frames, please go to StitcherPremium.com and use code 'Frames' to get your first month free! Season 1 is free to listen to on the Stitcher app. 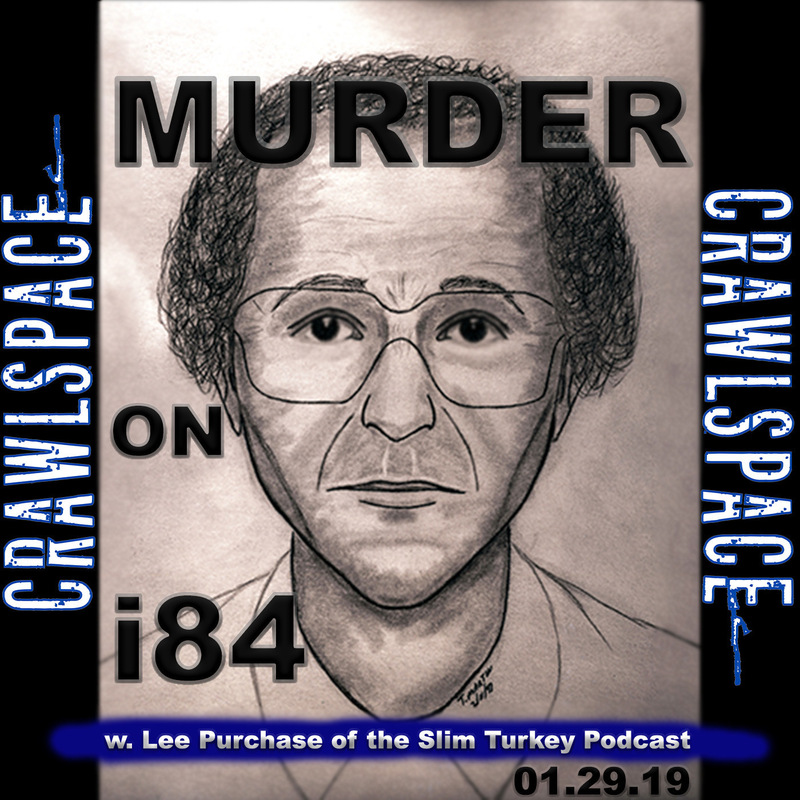 Welcome to Crawlspace.In this episode Tim Pilleri and Lance Reenstierna talk with Lee Purchase of the new podcast Slim Turkey about his deep dive into the unsolved murder of Richard Aderson.Check out Slim Turkey at SlimTurkey.com. iTunes link: https://itunes.apple.com/us/podcast/slim-turkey-the-unsolved-homicide-of-richard-aderson/id1437919719We're going to the American Investigative Society of Cold Cases conference April 15th & 16th in Albany, New York! We're speaking on a panel with Mike Morford (Criminology) and John Lordan (Brainscratch). Get your tickets now! 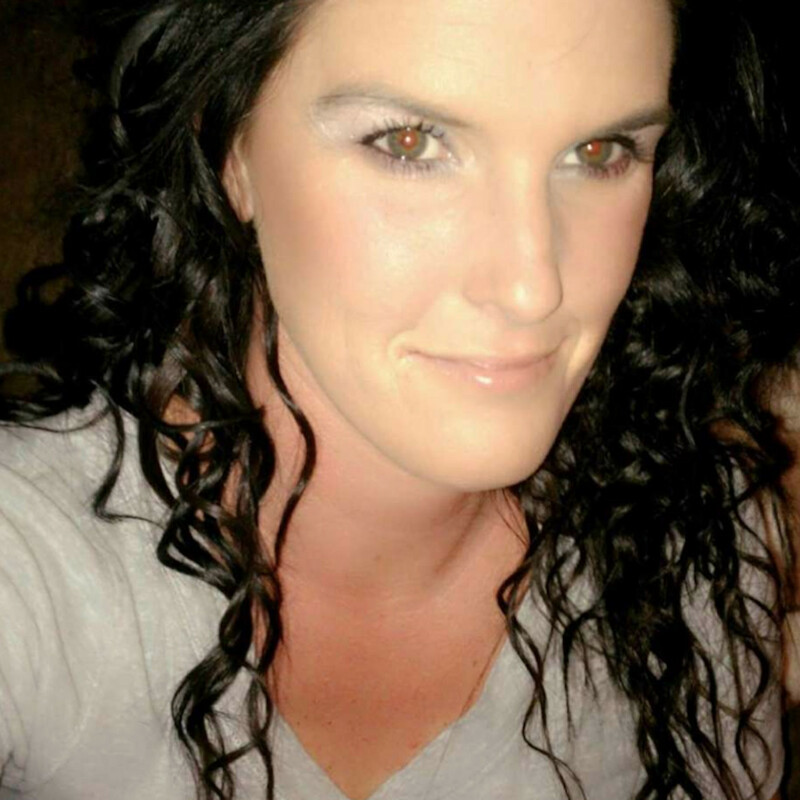 http://www.aisocc.com/2019-conference/Come to the True Crime Podcast Festival in Chicago in July of 2019: https://tcpf2019.com/Check out Chloe's blog on true crime and Brianna Maitland's disappearance: http://chloefromcrawlspace.blogspot.com/Crawlspace listeners get 10% off plus free shipping on their first Color Kit by going to Madison-Reed.com and using code Crawlspace.Check out other great shows from Crawlspace Media.MMM: https://itunes.apple.com/us/podcast/missing-maura-murray/id1006974447Empty Frames: https://www.stitcher.com/podcast/empty-frames. Subscribe on Stitcher Premium to hear Season 2 (stitcher.com/premium)The music for Crawlspace was produced by David Flajnik. Listen to his music here: https://www.pond5.com/artist/bigdsoundFollow us on social media:twitter.com/crawlspacepodinstagram.com/crawlspacepodcastfacebook.com/crawlspacepodcastCheck out Private Investigations for the Missing: https://t.co/P3LMyWLPF1Donate to the GoFundMe: https://www.gofundme.com/investigations-for-the-missingFollow us on Twitter: twitter.com/PIFortheMissingFollow us on Facebook: facebook.com/PIFortheMissingWatch Finding Maura Murray on Amazon Prime: https://www.amazon.com/gp/video/detail/B07JKBKQRZ/Please consider becoming a Crawlspace patron at Patreon.com/crawlspacepodcast!Check out other great podcasts from Crawlspace Media: Missing Maura Murray, Empty Frames.To listen to Season 2 of Empty Frames, please go to StitcherPremium.com and use code 'Frames' to get your first month free! Season 1 is free to listen to on the Stitcher app. Welcome to Crawlspace.In this episode Tim Pilleri, Lance Reenstierna, & Chloe Canter host a Facebook Live Vault episode of Crawlspace! Today's topics include Brandon Lawson's disappearance, Suitcase Jane Doe, and Jayme Closs.Check out Jennifer's site: SuitcaseJaneDoe.comCome to the True Crime Podcast Festival in Chicago in July of 2019: https://tcpf2019.com/Check out Chloe's blog on true crime and Brianna Maitland's disappearance: http://chloefromcrawlspace.blogspot.com/Crawlspace listeners get 10% off plus free shipping on their first Color Kit by going to Madison-Reed.com and using code Crawlspace.Check out other great shows from Crawlspace Media.MMM: https://itunes.apple.com/us/podcast/missing-maura-murray/id1006974447Empty Frames: https://www.stitcher.com/podcast/empty-frames. Subscribe on Stitcher Premium to hear Season 2 (stitcher.com/premium)The music for Crawlspace was produced by David Flajnik. Listen to his music here: https://www.pond5.com/artist/bigdsoundFollow us on social media:twitter.com/crawlspacepodinstagram.com/crawlspacepodcastfacebook.com/crawlspacepodcastCheck out Private Investigations for the Missing: https://t.co/P3LMyWLPF1Donate to the GoFundMe: https://www.gofundme.com/investigations-for-the-missingFollow us on Twitter: twitter.com/PIFortheMissingFollow us on Facebook: facebook.com/PIFortheMissingWatch Finding Maura Murray on Amazon Prime: https://www.amazon.com/gp/video/detail/B07JKBKQRZ/Please consider becoming a Crawlspace patron at Patreon.com/crawlspacepodcast!Check out other great podcasts from Crawlspace Media: Missing Maura Murray, Empty Frames.To listen to Season 2 of Empty Frames, please go to StitcherPremium.com and use code 'Frames' to get your first month free! Season 1 is free to listen to on the Stitcher app. 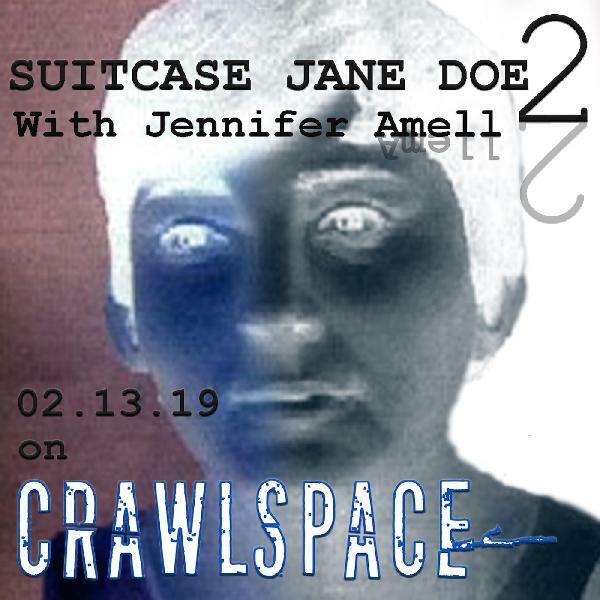 Tim Pilleri and Lance Reenstierna talk to filmmaker Jennifer Amell about the mysterious and gruesome and unsolved murder of Suitcase Jane Doe. 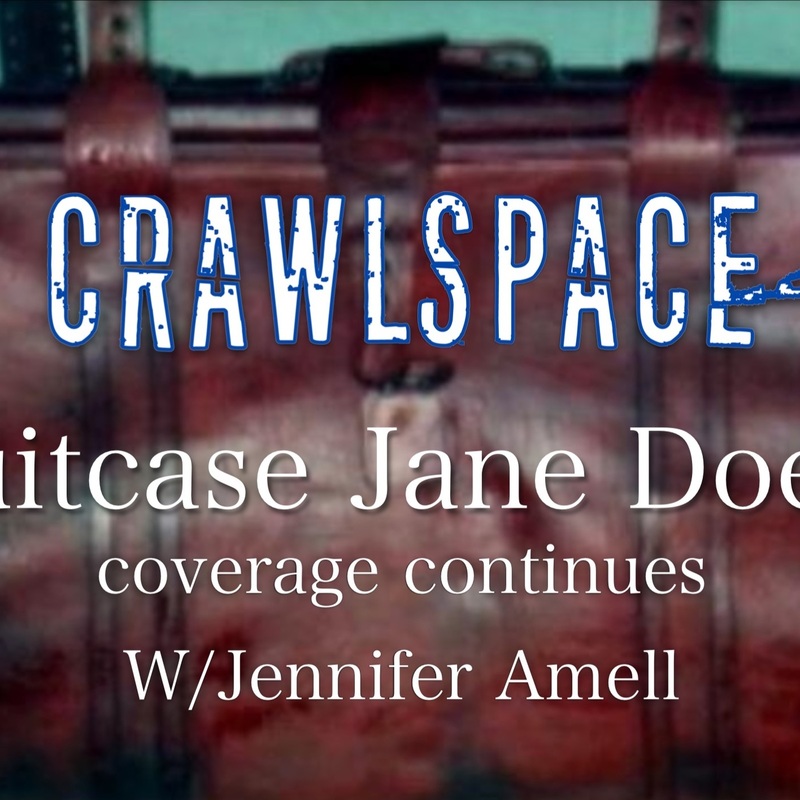 Check out Jennifer's site: SuitcaseJaneDoe.comCome to the True Crime Podcast Festival in Chicago in July of 2019: https://tcpf2019.com/Check out Chloe's blog on true crime and Brianna Maitland's disappearance: http://chloefromcrawlspace.blogspot.com/Check out other great shows from Crawlspace Media.MMM: https://itunes.apple.com/us/podcast/missing-maura-murray/id1006974447Empty Frames: https://www.stitcher.com/podcast/empty-frames. Subscribe on Stitcher Premium to hear Season 2 (stitcher.com/premium)The music for Crawlspace was produced by David Flajnik. Listen to his music here: https://www.pond5.com/artist/bigdsoundFollow us on social media:twitter.com/crawlspacepodinstagram.com/crawlspacepodcastfacebook.com/crawlspacepodcastCheck out Private Investigations for the Missing: https://t.co/P3LMyWLPF1Donate to the GoFundMe: https://www.gofundme.com/investigations-for-the-missingFollow us on Twitter: twitter.com/PIFortheMissingFollow us on Facebook: facebook.com/PIFortheMissingWatch Finding Maura Murray on Amazon Prime: https://www.amazon.com/gp/video/detail/B07JKBKQRZ/Please consider becoming a Crawlspace patron at Patreon.com/crawlspacepodcast!Check out other great podcasts from Crawlspace Media: Missing Maura Murray, Empty Frames.To listen to Season 2 of Empty Frames, please go to StitcherPremium.com and use code 'Frames' to get your first month free! Season 1 is free to listen to on the Stitcher app. 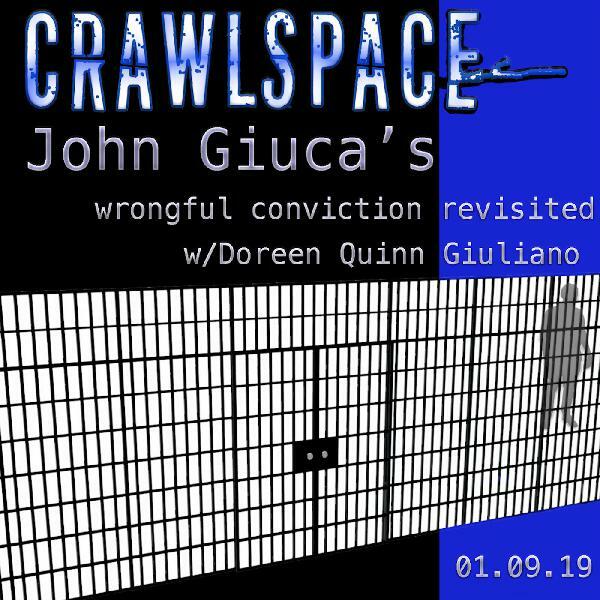 Tim Pilleri and Lance Reenstierna revisit John Giuca's wrongful conviction case, with a heartfelt conversation with his mother, Doreen Quinn Giuliano. Check out John Giuca's blog: https://www.johngiucasblog.com/Check out Christopher Ketcham's excellent article on Mother Justice: https://www.vanityfair.com/culture/2009/01/brooklyn_sting200901Follow John and Doreen on social media: https://twitter.com/john_giuca, https://www.instagram.com/livefromprison/, https://www.facebook.com/john.giuca.1Come to the True Crime Podcast Festival in Chicago in July of 2019: https://tcpf2019.com/Check out Chloe's blog on true crime and Brianna Maitland's disappearance: http://chloefromcrawlspace.blogspot.com/Check out other great shows from Crawlspace Media.MMM: https://itunes.apple.com/us/podcast/missing-maura-murray/id1006974447Empty Frames: https://www.stitcher.com/podcast/empty-frames. Subscribe on Stitcher Premium to hear Season 2 (stitcher.com/premium)The music for Crawlspace was produced by David Flajnik. Listen to his music here: https://www.pond5.com/artist/bigdsoundFollow us on social media:twitter.com/crawlspacepodinstagram.com/crawlspacepodcastfacebook.com/crawlspacepodcastCheck out Private Investigations for the Missing: https://t.co/P3LMyWLPF1Donate to the GoFundMe: https://www.gofundme.com/investigations-for-the-missingFollow us on Twitter: twitter.com/PIFortheMissingFollow us on Facebook: facebook.com/PIFortheMissingWatch Finding Maura Murray on Amazon Prime: https://www.amazon.com/gp/video/detail/B07JKBKQRZ/Please consider becoming a Crawlspace patron at Patreon.com/crawlspacepodcast!Check out other great podcasts from Crawlspace Media: Missing Maura Murray, Empty Frames.To listen to Season 2 of Empty Frames, please go to StitcherPremium.com and use code 'Frames' to get your first month free! Season 1 is free to listen to on the Stitcher app. 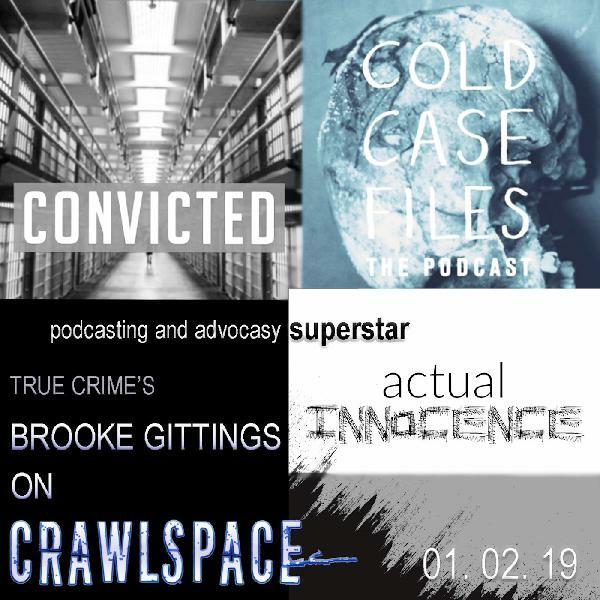 Tim Pilleri and Lance Reenstierna chat with true crime all-star Brooke Gittings. Brooke is the host of Actual Innocence, Convicted, and A&E's Cold Case Files. Our conversation ranges in topics from the experience of podcasting to wrongful convictions (John Giuca) to Maura Murray's disappearance.Check out Brooke's site and podcasts here: https://www.borrowedequipmentpods.com/And follow her on social media: https://twitter.com/BrookeGittingsCome to the True Crime Podcast Festival in Chicago in July of 2019: https://tcpf2019.com/Check out Chloe's blog: http://chloefromcrawlspace.blogspot.com/Check out other great shows from Crawlspace Media.MMM: https://itunes.apple.com/us/podcast/missing-maura-murray/id1006974447Empty Frames: https://www.stitcher.com/podcast/empty-frames. Subscribe on Stitcher Premium to hear Season 2 (stitcher.com/premium)The music for Crawlspace was produced by David Flajnik. Listen to his music here: https://www.pond5.com/artist/bigdsoundFollow us on social media:twitter.com/crawlspacepodinstagram.com/crawlspacepodcastfacebook.com/crawlspacepodcastCheck out Private Investigations for the Missing: https://t.co/P3LMyWLPF1Donate to the GoFundMe: https://www.gofundme.com/investigations-for-the-missingFollow us on Twitter: twitter.com/PIFortheMissingFollow us on Facebook: facebook.com/PIFortheMissingWatch Finding Maura Murray on Amazon Prime: https://www.amazon.com/gp/video/detail/B07JKBKQRZ/Please consider becoming a Crawlspace patron at Patreon.com/crawlspacepodcast!Check out other great podcasts from Crawlspace Media: Missing Maura Murray, Empty Frames.To listen to Season 2 of Empty Frames, please go to StitcherPremium.com and use code 'Frames' to get your first month free! Season 1 is free to listen to on the Stitcher app. Tim Pilleri and Lance Reenstierna talk to Rae Paoletta about the creepy Christmas legend of Krampus. Check out Rae Paoletta on Twitter: https://twitter.com/PAYOLETTERHere's Rae's article on Krampus: https://www.yahoo.com/news/why-krampus-drag-hell-tonight-230500278.htmlSome other Krampus material: https://www.buzzfeed.com/briangalindo/21-vintage-postcards-of-krampus-that-will-haunt-your-dreamsCome to the True Crime Podcast Festival in Chicago in July of 2019: https://tcpf2019.com/Check out Chloe's blog: http://chloefromcrawlspace.blogspot.com/Check out other great shows from Crawlspace Media.MMM: https://itunes.apple.com/us/podcast/missing-maura-murray/id1006974447Empty Frames: https://www.stitcher.com/podcast/empty-frames. Subscribe on Stitcher Premium to hear Season 2 (stitcher.com/premium).Follow us on social media:twitter.com/crawlspacepodinstagram.com/crawlspacepodcastfacebook.com/crawlspacepodcastCheck out Private Investigations for the Missing: https://t.co/P3LMyWLPF1Donate to the GoFundMe: https://www.gofundme.com/investigations-for-the-missingFollow us on Twitter: twitter.com/PIFortheMissingFollow us on Facebook: facebook.com/PIFortheMissingWatch Finding Maura Murray on Amazon Prime: https://www.amazon.com/gp/video/detail/B07JKBKQRZ/Please consider becoming a Crawlspace patron at Patreon.com/crawlspacepodcast!Check out other great podcasts from Crawlspace Media: Missing Maura Murray, Empty Frames.To listen to Season 2 of Empty Frames, please go to StitcherPremium.com and use code 'Frames' to get your first month free! Season 1 is free to listen to on the Stitcher app.